A timeless style, the classic curl is no doubt one of your clients’ most requested looks. 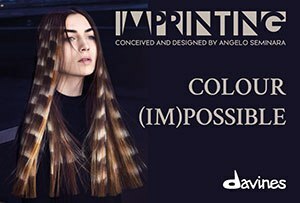 Luckily for us ghd has devised a Curve Menu, featuring a number of curly ‘do’s created using the ghd curve electrical range. This week we reveal how to re-create the classic curls of their dreams. Step 1: Prep the hair with ghd curl hold spray and style hair in a deep side parting using the ghd tail comb. Step 2: Work in sections from the bottom, starting at the back of the head. 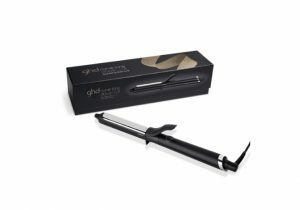 Place the ghd curve classic curl tong below the hair and wrap around the tong. Step 3: Twist wrap the hair around the barrel, clamp down and hold for five to eight seconds. Step 4: Every other curl, alternate the placement so the tong points away from the face. This will add texture to the finished look. Step 5: Continue the technique throughout the head, always alternating the direction. Step 6: On the very front sections, place the tong behind the hair so the curls frame your face. Step 7: Break up the curls using a ghd detangling comb.